The suspense is finally over! 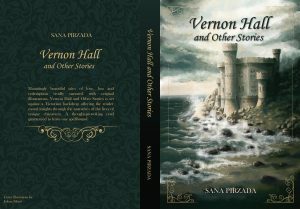 Here is a first look at the beautiful book cover for ‘Vernon Hall & Other Stories’ designed by the very talented Jelena Zibert! Another month or so to go until the book is published. In Sha Allah.